A slightly older .Net 2 application I wrote for a client to upload files to Amazon S3 makes use of the Amazon S3 SOAP API. The SOAP API has the advantage over the REST API of being able to stream large files as DIME attachements when uploading to the S3 servers, rather than trying to load them up in one go, which is handy when uploading large files. The S3 WS API requires Microsoft’s Web Services Enhancements (WSE) 2.0 though, rather than the later WSE 3.0, because in WSE 3.0 DIME is replaced by MTOM (which Amazon doesn’t support - in typical WS-* way). 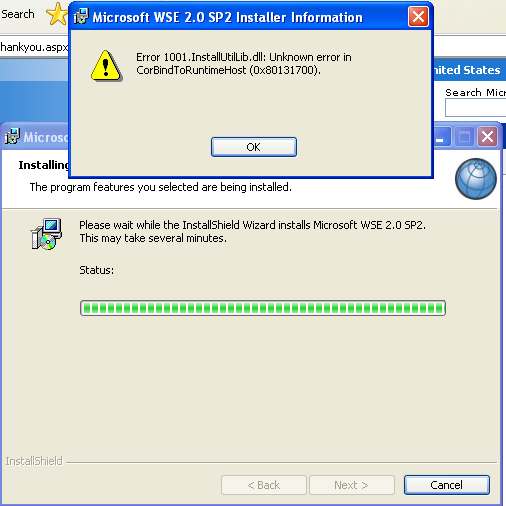 The workaround (a reminder to myself) is to use the WSE 2.0 SP3 installer rather than the older versions that come up when searching for WSE 2.0 on google.